Our state of the art clinic features a full digital x-ray suite. We offer high frequency digital x-rays to give our clinic and surrounding clinics the best possible care in musculoskeletal assessment and treatment. This system allows convenience for all of our patients that may need an x-ray. Not every case of back pain needs an x-ray, but when it does, instant access to a high quality x-ray machine is invaluable. Our high frequency system takes some of the clearest x-rays possible. The digital system is also paired with some of the most powerful software available that allows our Denver chiropractors to accurately diagnose your condition. The software creates sharper images, better clarity, and has specific tools that allow our chiropractors to help educate our patients. Having an x-ray on site allows us to give you better care. This is especially true when it comes to fractures or significant spinal trauma that can create ligamentous injuries to the spine. Besides neck pain, back pain, headaches, and sports injuries, we have a unique niche of treating auto accident injuries. Whiplash accidents in Denver seem to be rampant since its booming economy has brought an influx of congestion to our roads. It is estimated that 30% of people that get whiplash end up with chronic pain. This is because of the unique nature of the injury that is created by a car accident and poor treatment approaches. The collision of a car traveling only 6.6mph rear ending a car at a stop creates over 10 G’s of force to the occupant. This quick acceleration creates sprains to the spine. A sprain is a tear in a ligament and the spine has a multitude of ligaments that help support the function of the spine. 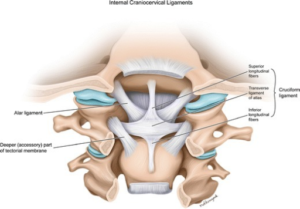 When a spinal ligament does get damaged, the stability of the spine becomes compromised. Severe grade III sprains require surgery. All car accident injuries such as whiplash need special x-ray views that most facilities do not take. A should be standard when it comes to whiplash injuries is a series of x-rays referred to as a Davis Series which requires 3 views in the lateral aspect that include a forward bend and a backwards bend. These 3 views can help demonstrate ligamentous damage to the spine. We go above and beyond the should be standard and also take 2 additional views of the C1-C2 segment to help determine the integrity of this very important segment. If our x-rays show any significant spinal ligamentous injury we submit our images to a company that has specialized software that interprets the degree, location, and severity of any spinal ligamentous injury. This helps determine the exact location of the injury that will help our doctors pinpoint the type of treatment you’ll need to recover from your car accident injury. This also helps supports the medico legal implications of such an injury to give you a just settlement. 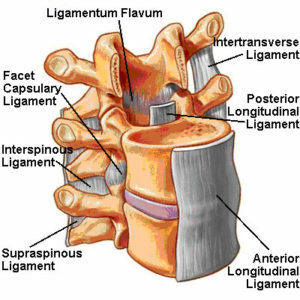 Besides routine x-rays for our patients, we also extend our unique approach in determining spinal ligamentous damage to all other surrounding clinics.